Eric Hjermstad runs Western Weather Consultants and operates cloud seeding generators for ski resorts and water agencies across Colorado's high country. 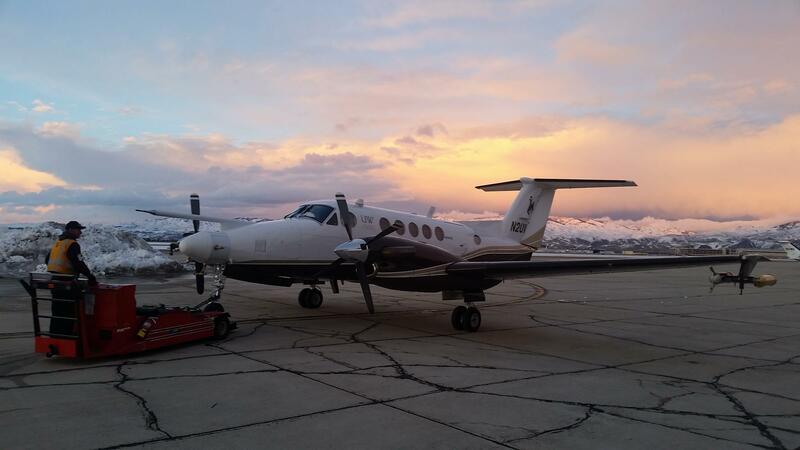 University of Wyoming atmospheric science professor Jeff French studies clouds, and uses this research plane to fly inside them. Katja Friedrich studies cloud and precipitation formation at the University of Colorado Boulder. The seven states that rely on the Colorado River are trying to finalize details on how use less of its water. Currently all eyes are on Arizona, which has a had a tough time agreeing how to dole out cuts to water supplies. On the first day of the legislative session, water led Arizona Gov. Doug Ducey's State of the State address. More specifically, he wants a drought plan finished — one that keeps the Colorado River system at healthy levels.